(Kuwait) – Labor ministers from Gulf and Asian countries meeting on November 26 and 27, 2014, should improve labor law protection, reform abusive immigration policies, and increase dialogue with trade unions and nongovernmental groups, 90 human rights organizations and unions said today. Millions of contract workers from Asia and Africa, including an estimated 2.4 million domestic workers in the Gulf, are subject to a wide range of abuses, including unpaid wages, confiscation of passports, physical abuse, and forced labor. The ministers will meet in the third round of the Abu Dhabi Dialogue, an inter-regional forum on labor migration between Asian countries of origin and Gulf Cooperation Council (GCC) countries of destination. Nongovernmental groups participated in the first two rounds but were not invited to this year’s gathering. Labor ministers from the GCC states are to meet separately on November 23 to discuss a draft domestic workers contract and the proposed formation of a cross-GCC body to oversee migrant domestic work. The kafala system, used to varying extents across the Gulf, restricts most workers from moving to a new job before their contracts end unless they obtain their employer’s consent, trapping many workers in abusive situations. Many migrant workers feel intense financial pressure not only to support their families at home but also to pay off huge debts incurred during recruitment. Poorly monitored labor recruitment agencies, in both the migrants’ countries of origin and in the destination Gulf states, often overcharge migrant workers, deceive them about their working conditions, or fail to assist them if they encounter workplace abuse. In Saudi Arabia and Qatar, migrant workers cannot leave the country without obtaining their employer’s consent for an “exit permit” from the authorities. Some employers have refused to pay wages, return passports, or provide permission for “exit permits” in order to exact work from workers involuntarily. A November analysis by the International Trade Union Confederation (ITUC), “Facilitating Exploitation,” highlighted how gaps in national labor laws in GCC countries either partially or completely exclude domestic workers. An October Human Rights Watch report, “I Already Bought You,” and an April Amnesty International report, “My Sleep is My Break,” found common patterns of abuse against domestic workers in the United Arab Emirates and Qatar respectively, including unpaid wages, no rest periods, excessive workloads, food deprivation, and confinement in the workplace. In several cases, domestic workers reported physical or sexual abuse and had been in situations of forced labor, including trafficking. The GCC has discussed a potential region-wide standard employment contract for domestic workers. Recent media reports suggest that the GCC is also considering establishing a body to coordinate policies on hiring domestic workers that would consist of recruitment agency and government representatives. These developments have lacked transparency and have suffered from inadequate consultation with migrant domestic workers, trade unions, and migrants’ rights organizations. 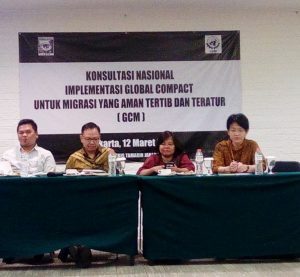 Migrants’ countries of origin are also discussing their own standard contract through a separate process. Migrants in the Gulf make an important contribution both to the economies of their own countries and those of the countries where they work. In 2011, migrant workers in GCC countries sent home more than US$60 billion in remittances. Competition for jobs among the workers’ countries of origin, combined with their relative lack of bargaining power in relation to the labor-destination countries, means that the pressure they exert for better labor protections is weak. Kuwait University Law School will host an event on November 23, 2014, at which panelists from Amnesty International, Human Rights Watch, IDWF, the ITUC, and Migrant Forum Asia will discuss the rights of migrant domestic workers. Expand the Abu Dhabi Dialogue to include labor-origin countries from Africa, such as Ethiopia, Uganda, and Kenya, and participation by nongovernmental groups. Governments should ratify and implement international labor and human rights standards, the groups said. 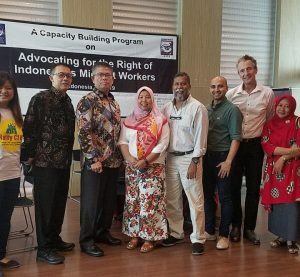 These include the International Labour Organization (ILO) Convention 189 on Decent Work for Domestic Workers, the ILO Forced Labor Protocol, and the International Convention on the Protection of the Rights of All Migrant Workers and Members of their Families. The first round of the Abu Dhabi Dialogue was hosted by the United Arab Emirates in 2008 and the second meeting was held in Manila in 2012.